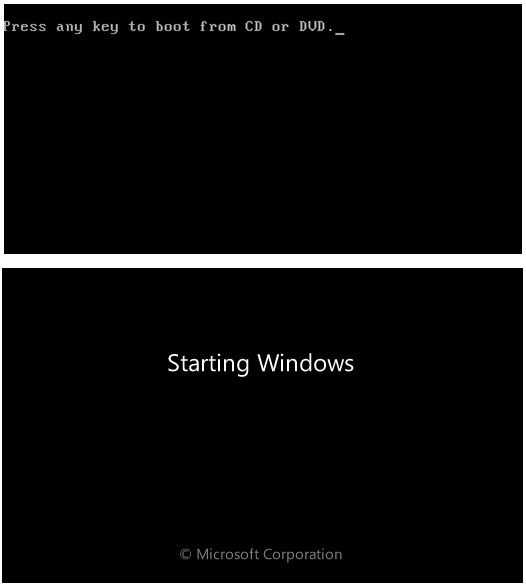 If properly changed the boot devices in BIOS you should be able to boot from the DVD and view the following screen. To quickly access your boot sequence while you’re powering up the computer press F12. Find your particular boot sequence key on the manual accompanying your computer, or on the manufacturer’s website. More info and help on the boot sequence. 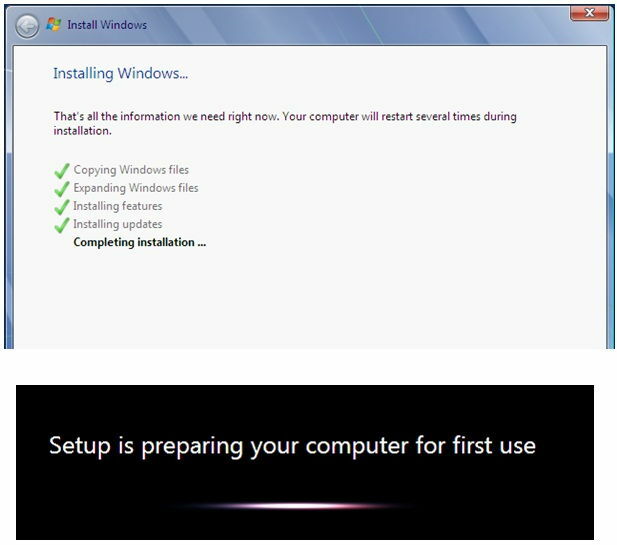 To install windows, power on the computer and press the f12 key or your specific hardware key to access the boot order. Open the DVD-ROM place the Windows 7 DVD in and then select the DVD-ROM as the device to boot off of. then you should be presented with the following screen. On the screen below select your language and click the next button. 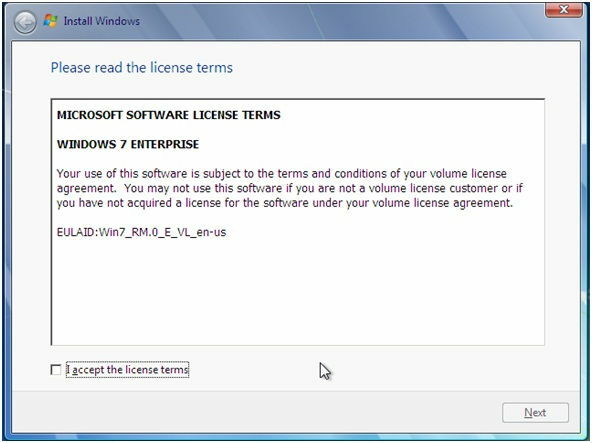 Select the accept license check-mark and then click next. In the screen below select the custom (advanced option). 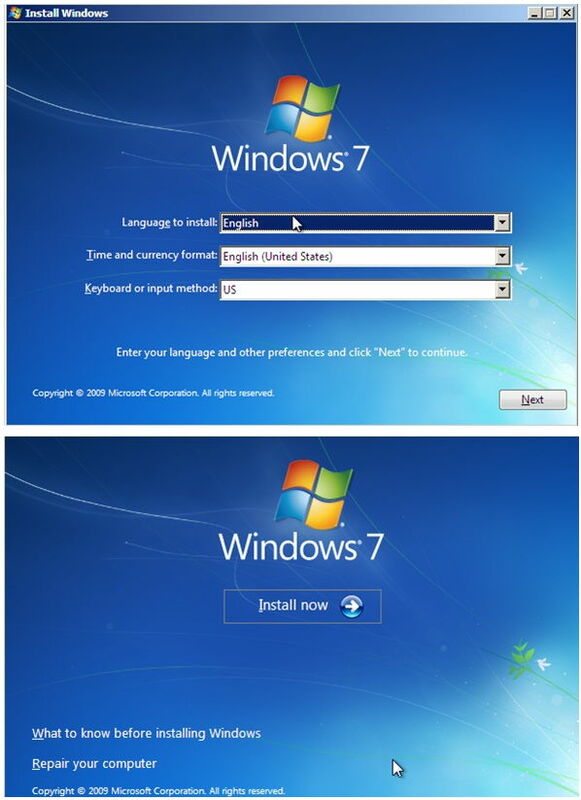 If you are doing a Windows 7 installation it is better if you’re doing a completely clean install, than upgrading, or installing over an existing installation. This way we ensure an absolutely clean OS and less stuff for it to deal with. With this type of installation you have the most efficient windows install but the old data (pictures and documents) will need to be backed up. 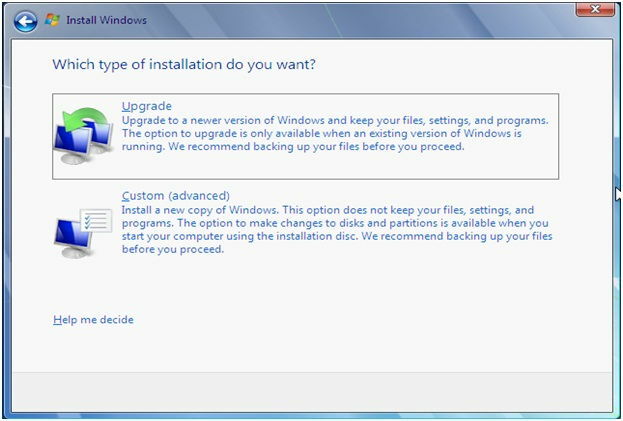 in the next screen you have to select which on which disk you want to install windows 7. If you have only one disk just select the disk and click next. 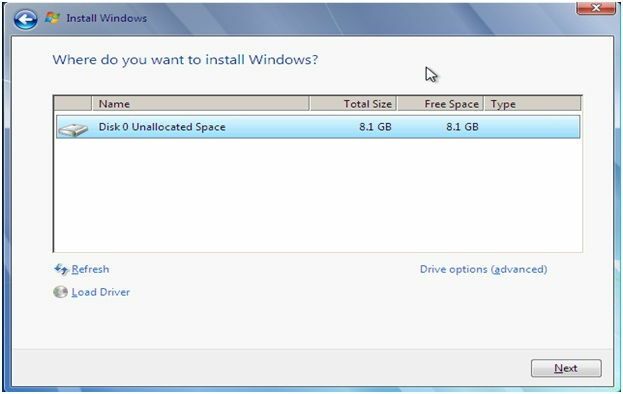 If you want to manually create the partitions then select the disk and click disk options (advanced). However is not necessary unless you want to give it specific sizes. and perhaps then you would need to read this tutorial to begin with. 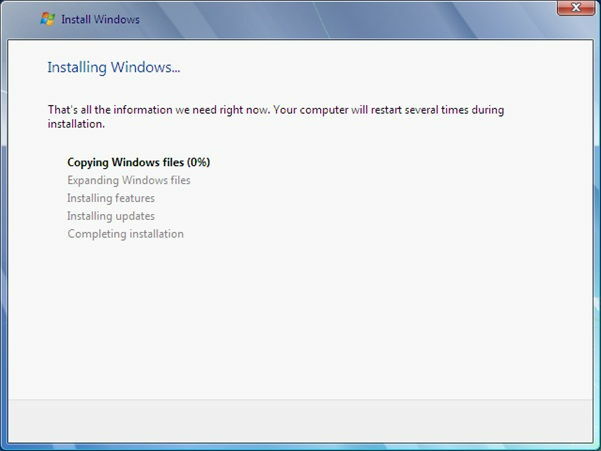 Click next to start the windows 7 installation. Now just wait until the next screen that requires input. You should eventually see the next screen. After this there will be a few settings left for you to adjust and then you should be close to have installed windows 7. 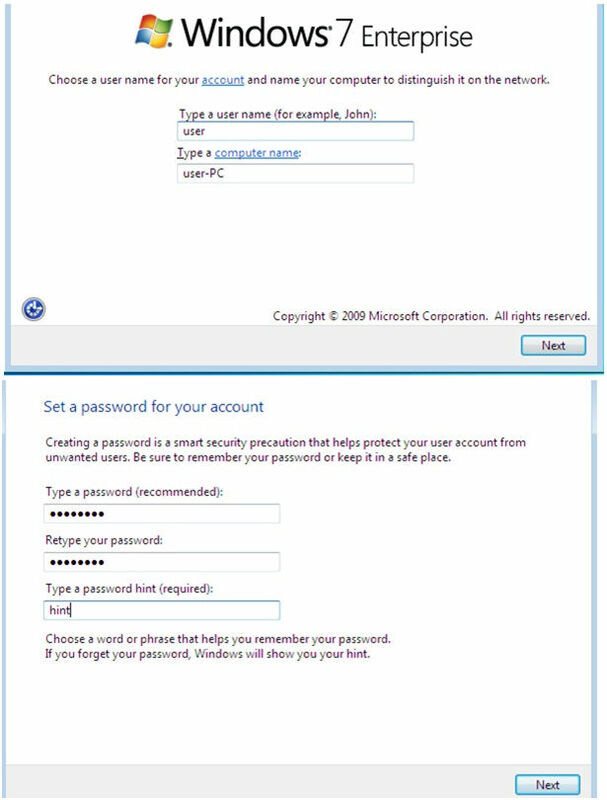 In the next screen you need to setup your user account, password and a hint to recover your password. make sure you take notes on these. 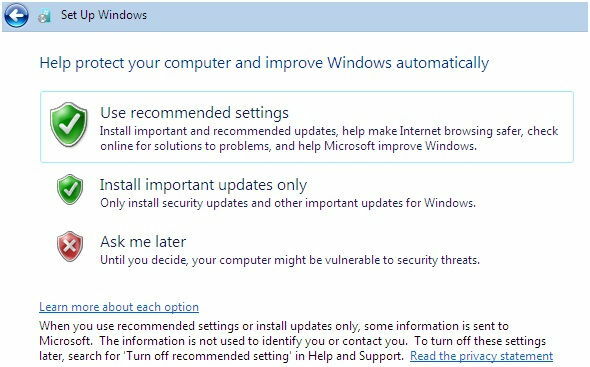 In the next screen use the recommended settings for windows update. 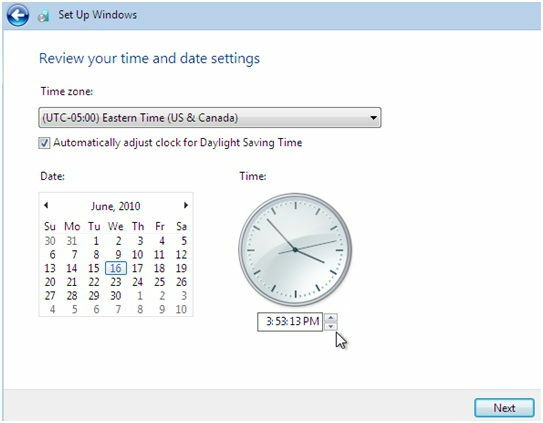 Select your time and time zone, then click next to the next screen on windows installation. The network location, you should select home. This is useful on the laptops. The home network should be used at home. All three settings change the security settings in the firewall depending on the selection you make. If you have a laptop and connect to different networks wirelessly, then you would select the type of network depending on the location. 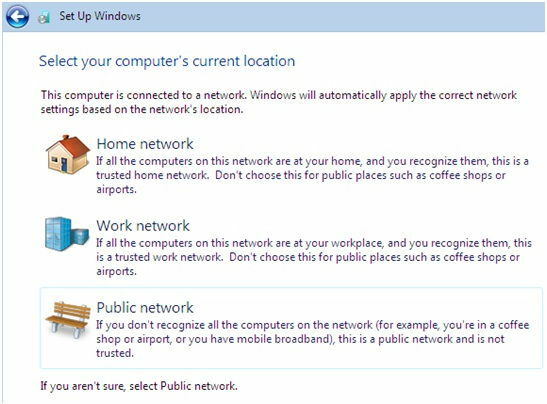 If you are at a public hotspot such as an airport then you select public, then your firewall will adjust its settings to protect you from opportunists hackers. If I would find you on a public network I would try to hack you just for fun and to see if I can do it. Then the windows installation should finish and present you with the desktop. Voila! 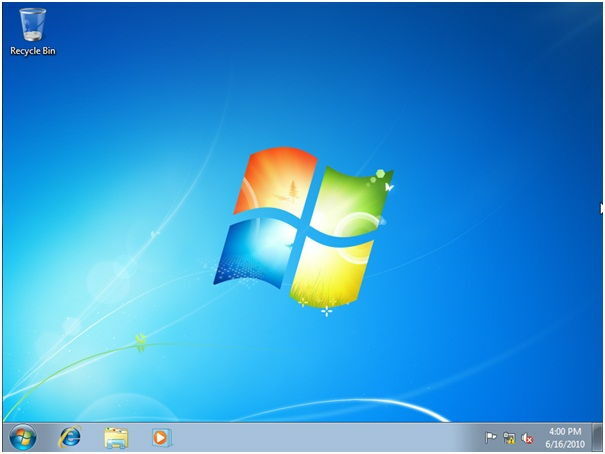 this is how you do a Windows 7 installation.